Happy Friday! 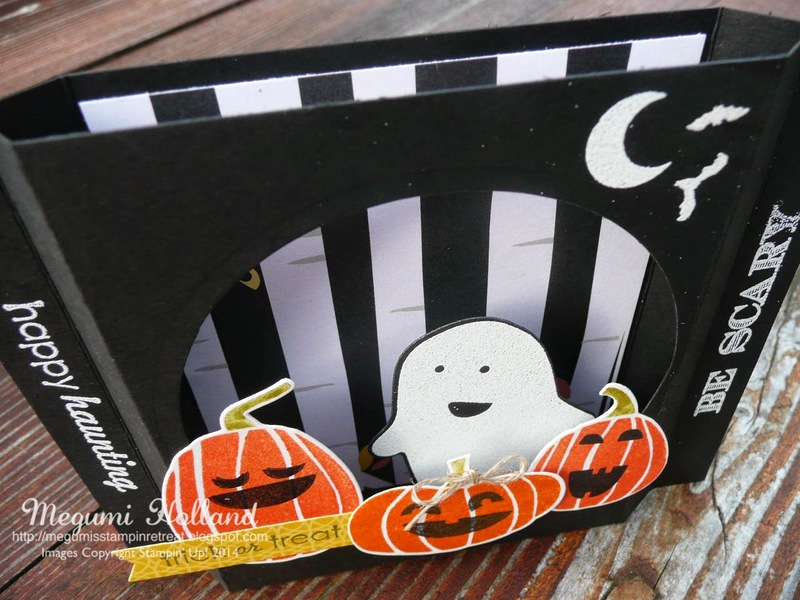 Here is an adorable Halloween Shadow Box Card we created at my recent Big Shot workshops. It's so cute!!! 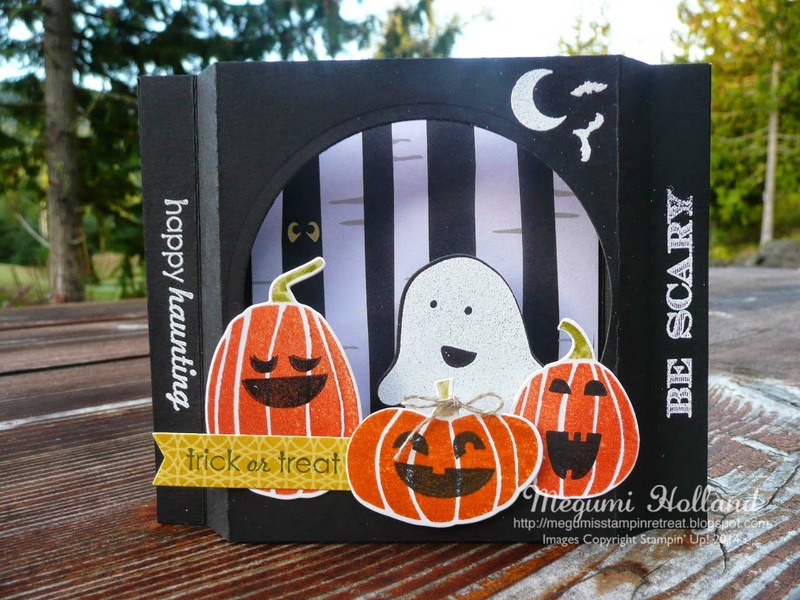 I think the black and white patterned paper from the Motley Monsters DSP pack is so perfect for the background. Can you see the tiny eyes right behind the tall pumpkin??? Here is a close-up shot of the card from the top. Mr. Ghost is sort of "floating" in the background with a skinny strip of Window Sheet. He moves when you shake the card! Can you believe this card becomes flat so that you can put in an A2 envelope and mail it to someone special in your life??? 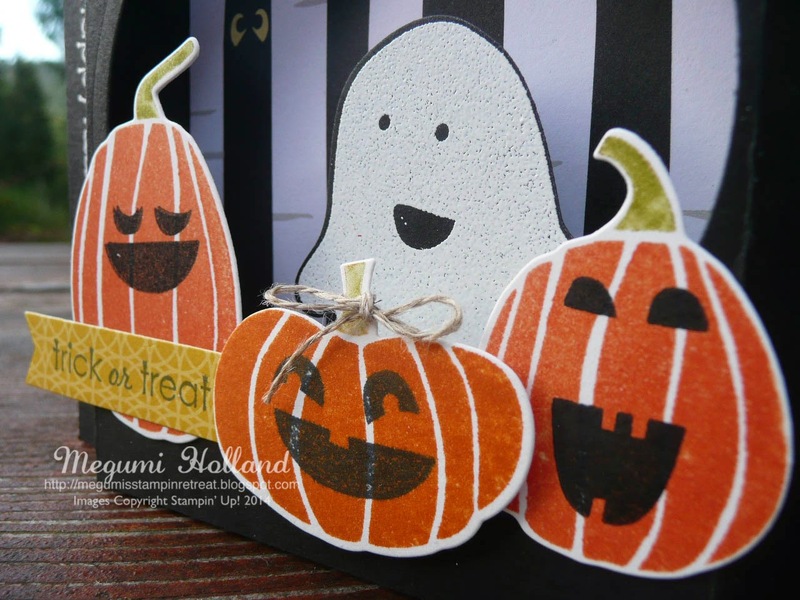 These adorable pumpkins are from the Fall Fest Stamp Set. I stamped them on a piece of Shimmery White Paper (see page 193, #101910) instead of Whisper White Card Stock. I wish you could see the difference! I have found the Shimmery White Paper works great especially with our Photopolymer stamps.